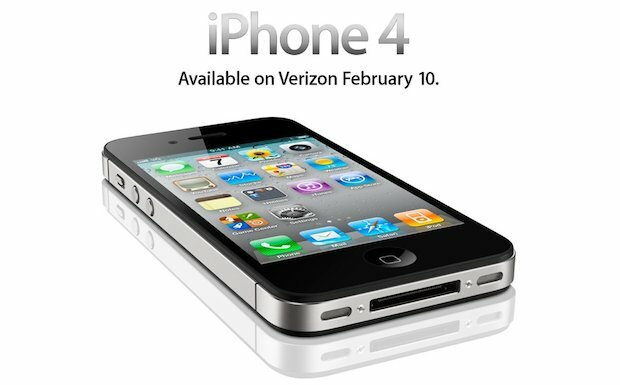 The Verizon iPhone plan pricing has been revealed, these rates are monthly and in addition to the price of the Verizon iPhone 4 which starts at $199.99 with a two year contract. This data is from the Verizon iPhone purchase section on Apple’s website, although the information and rates could change at any time. Unlimited nights and weekends are included in all plans in addition to free domestic long distance. If you go over your minute plan, you’ll be charged between $0.40 and $0.45 per minute, depending on your plan. All plans come with unlimited nights and weekend minutes and no domestic long distance charges. Additional minutes vary per plan, ranging from $0.45 to $0.35 per minute. It looks like you’ll get unlimited texting to other Verizon customers on the 500 message plan. The cost of additional messages varies per plan, outside of Pay Per Text, the rate is $0.10 per message. Note that unlimited data is a temporary offer and using the hotspot costs an additional $20 a month. The Mobile Hotspot feature is from iOS 4.3 and allows up to 5 devices to connect to the iPhone via WiFi. Additional data transfer with Mobile Hotspot use are $20 per GB. Another unofficial option would be to jailbreak your iPhone and use MyWi rather than pay for Hotspot. You can read up on other Verizon iPhone news. I’m on the fence, I get fine service with AT&T and Verizon is offering nothing too different. What’s the advantage to use either? For me this will come down to price unless there some is significant feature on one side or the other. I like the idea of Wireless Hotspot directly from iPhone, that may sway me if anything. 390$ a month…I asked verison and they said there is no way they would give us that deal for that price for even 3 phones lol and we have 5. Ok I already know that you get unlimited voice and web for 30 dollars per month. But then herd it cost 20 dollars for mobile hotspot but they said you get 2GB and it cost 20 dollars only of you go over the 2GB. But do you get a new 2GB a month or do u have to pay 20 dollars for the 2GB and then if you go over you have to pay an extra 20 dollars? Also, how do you tell how much gb your using when you do use mobile hotspot? HELP PLEASE !